Over 150 years old and still a marvel. Amedee lighthouse, our last New Caledonia stop, was first lit in 1865 on November 15th. Almost to the day, 151 years after, we arrived at our next destination, Bundaberg, Australia (aka “Oz”). Today, at 56 meters (184 feet), Amedee lighthouse is still one of the tallest lighthouses in the world (though it still falls below the top 20 tallest today), and a popular tourist destination. Amedee lighthouse, France’s first metal lighthouse, was originally constructed as a demo in Paris, its plans displayed at the 1862 International Exhibition in London. The lighthouse was then disassembled, its parts weighing 387,953 kilos (over 400 tons) and shipped to New Caledonia for assembly. 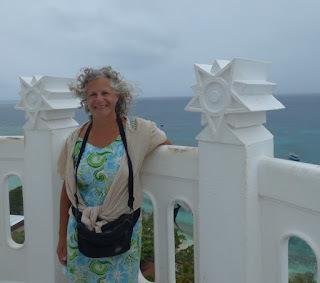 to be the first to climb Amedee lighthouse. New Caledonia. Elegant as is Amedee lighthouse is, its inspiration is far more grounded in practicality and function. The design took into account the inherent lack of construction resources and skilled labor, plus the harshly corrosive tropical environment. 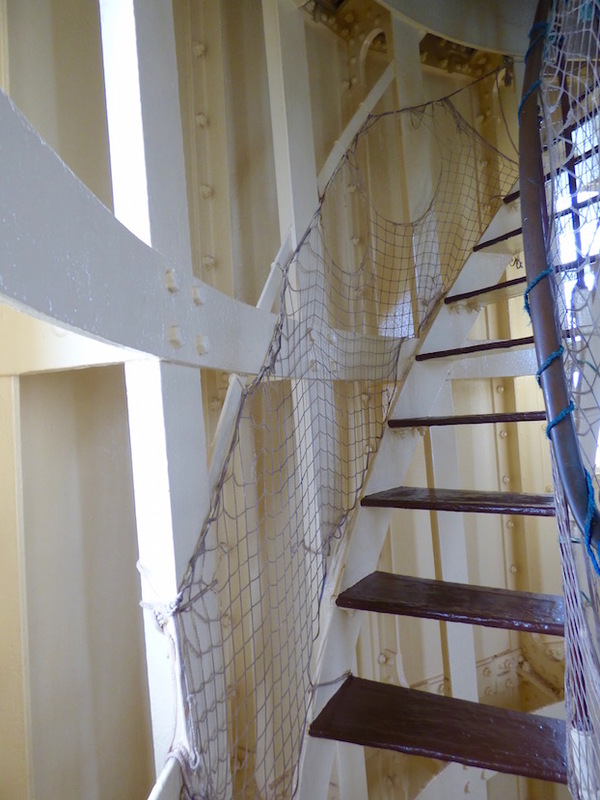 It’s designed narrow enough that a scaffold was not needed for Amedee lighthouse’s erection. 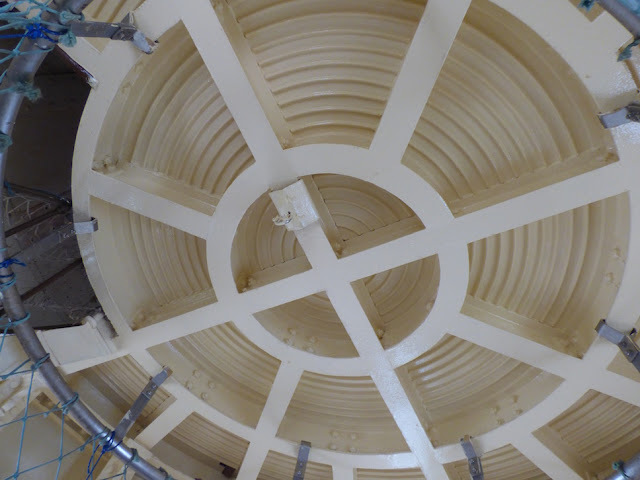 Isolating the interior construction from the exterior construction was a new approach to minimize corrosion from humidity. 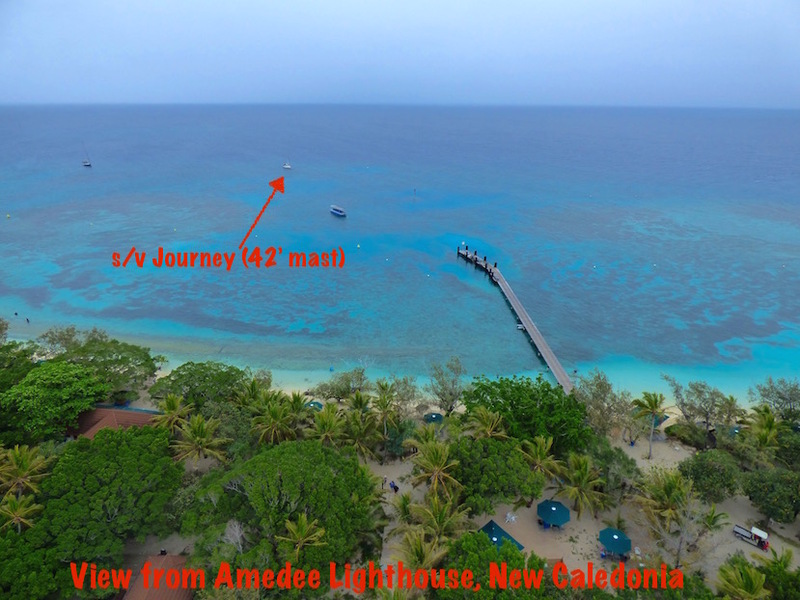 Even if Amedee’s elegant design doesn’t impress you, the lighthouse’s clever construction combined with current TLC (tender loving care) stands as a pristine, shining and robustly working testament to its creator’s vision. 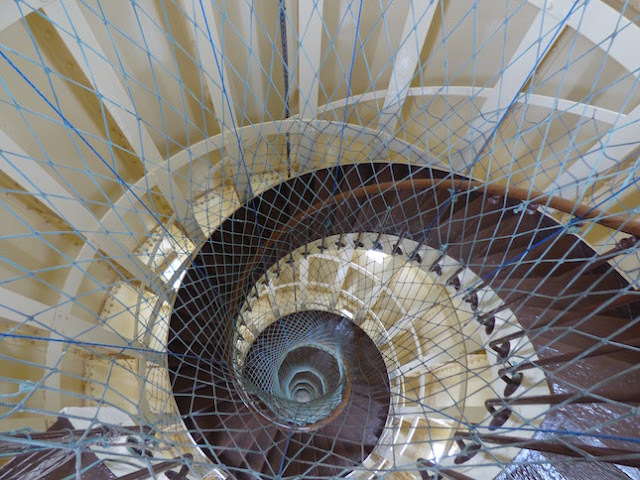 Amedee lighthouse staircase spiral… reminiscent of the chambered nautilus shells found awash on New Caledonia’s shores. Not sure why the netting is required. are more akin to a ladder. 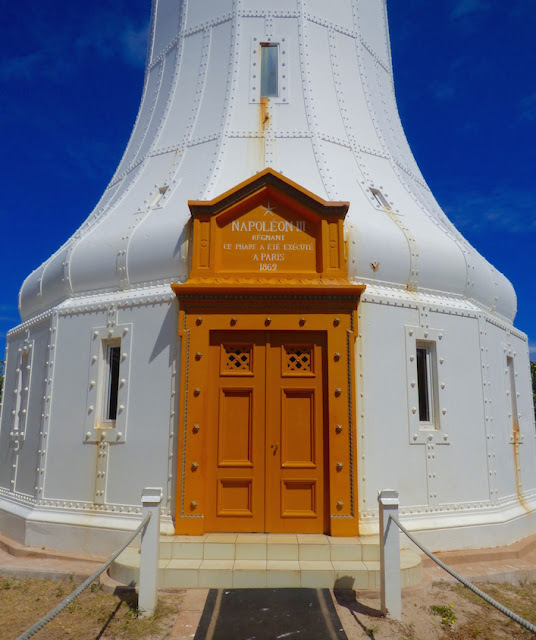 Amedee lighthouse, New Caledonia. Ilot Amedee is a mere 12 miles sail from Noumea; most visitors take the ~$150 Mary D cruise, which includes a lunch and even a glass of wine with it. Alternatively, there’s about a dozen excellent – and free – moorings. 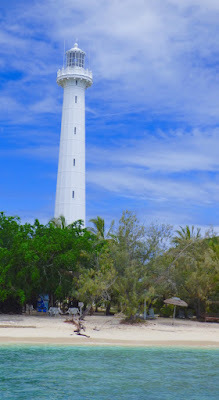 However, while you can snorkel, dive or walk (most of) the island, it is not possible to tour Amedee lighthouse unless the Mary D tour boat is there. Only then is the lighthouse open for touring, 10 visitors at a time. Given we were Oz-bound, before leaving Noumea for Amedee and points beyond, we deliberately spent the last of our francs. 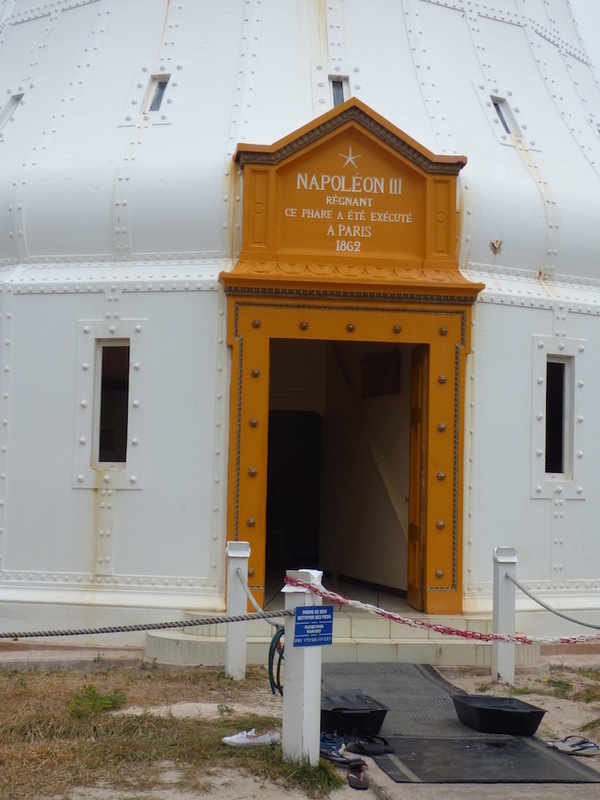 We weren’t sure if touring Amedee lighthouse was free or fee, and if the latter, how to pay it. The roof below Amedee lighthouse light. Alas, you can’t actually see in where the light is on tour. New Caledonia. Amedee lighthouse views will be from other images, like mine. There is a fee -- $3 francs. Fortunately, the $3 franc fee was also accepted in US dollars -- we always have some aboard in case of emergency as it’s the most universally accepted currency. Australian dollars were also accepted -- we kept $10 from my 2007 trip there to toast our entry to Oz at our first Australian pub stop. Credit cards were also accepted. 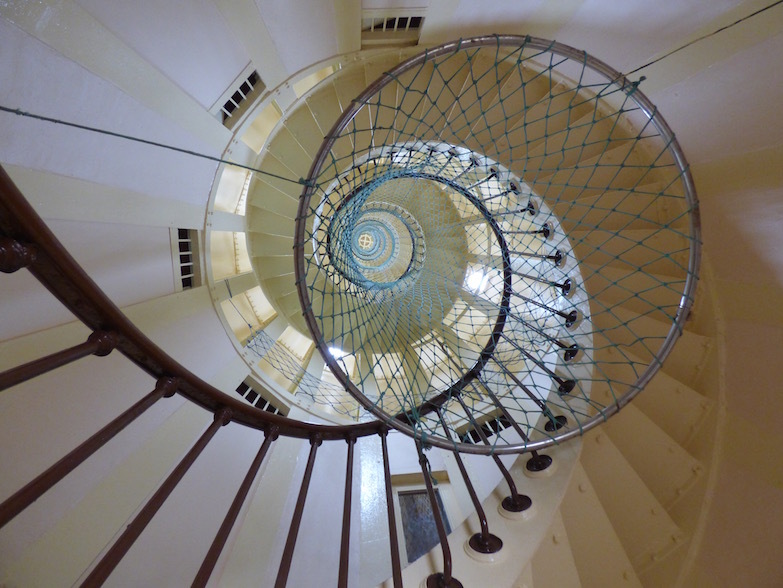 We paid our money and climbed the lighthouse’s 257 steps to check out the lighthouse’s lofty view. Hey! That little speck down there is our sailboat, a Pearson 365 ketch with a 42’ mast, and that’s above the deck! Amedee lighthouse view, New Caledonia. Even with the overcast and first warning sprinkles of incoming rain, the water was crystalline, with a dreamy pale green cast. I could even clearly make out Boulari passage, a narrow channel through New Caledonia’s reef, about the only tricky bit on our near 800-mile passage from New Caledonia to Australia. Like everyplace else we’ve sailed in New Caledonia, the charts for it were well-marked and accurate, alleviating considerable uncertainty and stress. Even if you’re unable to visit the lighthouse, Ilot Amedee’s still worth a visit. More about that in an upcoming post. 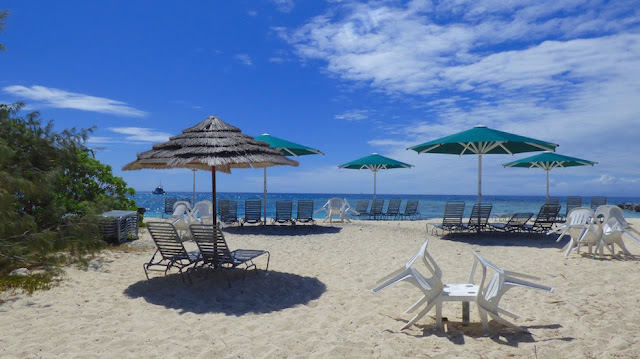 Even though we’ve arrived in Oz, between intermittent wifi access and too much time spent having fun, there’s still some New Caledonia catch-up posts. Believe this is the Yaquina Bay lighthouse, Oregon Coast. Fresnel lenses like this strike me as especially beautiful. 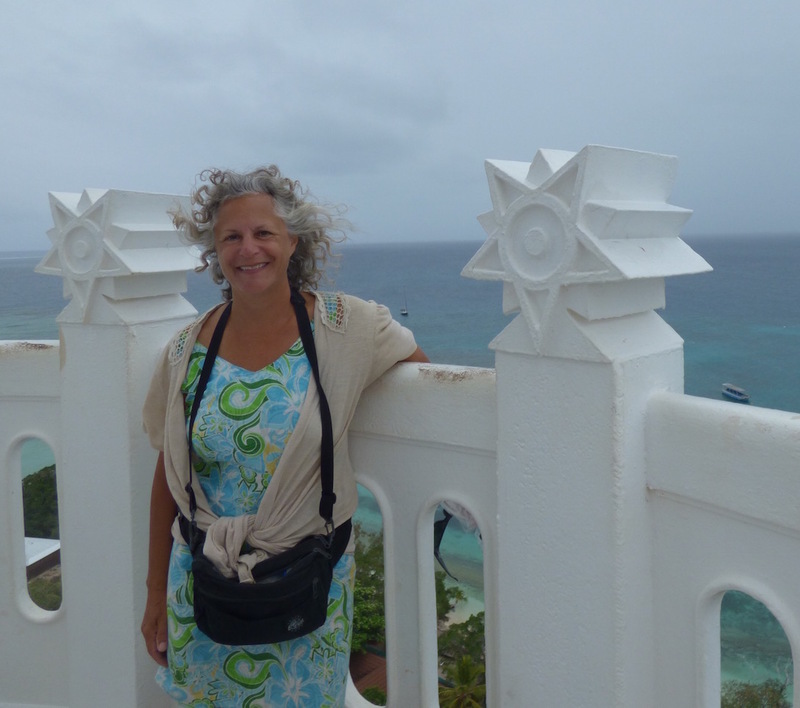 This is a recent retrospective of our time off Ilot Amedee (S22.28.550 E166.27.896), November 3-5, 2016, our last stop in the country of New Caledonia. We are currently at our third location in Australia, off Fraser Island (S25.22.852 E153.01.820), Queensland territory. Fraser Island is the largest sand island anywhere, a World Heritage site. More on Fraser Island soon.